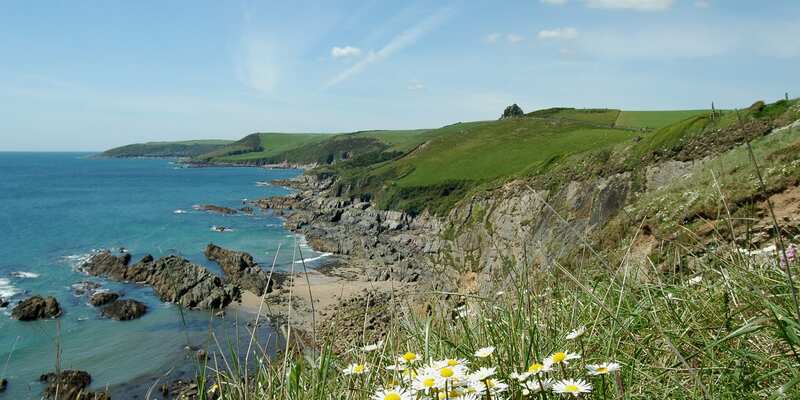 Location: Carswell Farm, Holbeton, South Devon. 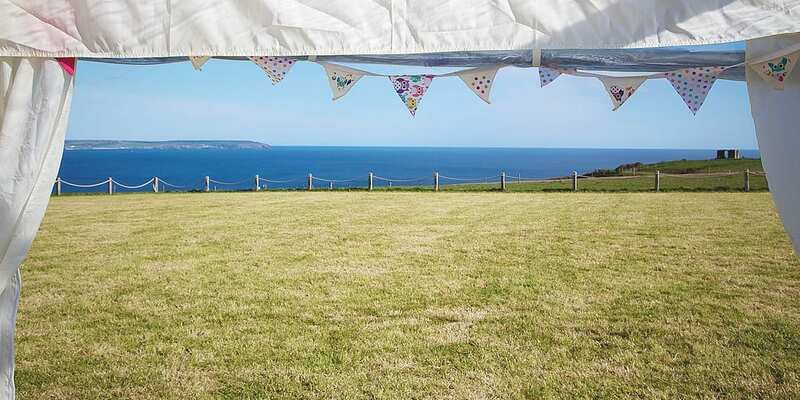 Carswell Farm, tucked away on the the South Devon coast, is a unique location for a field marquee wedding on a specially leveled site. 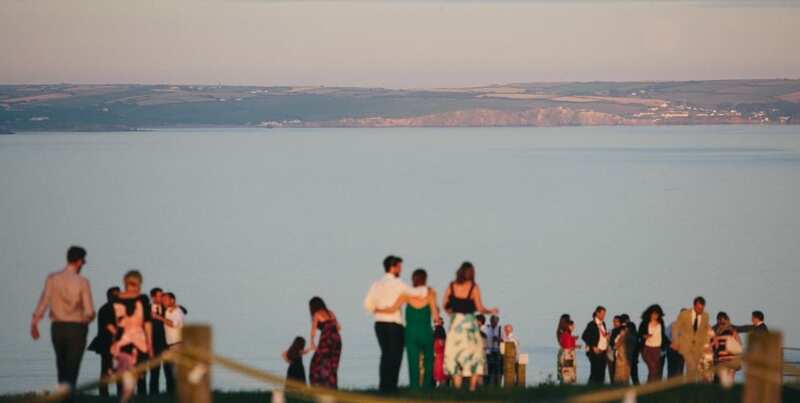 Set in an Area of Outstanding Natural Beauty, the countryside and coastline is spectacular with stunning sea views and secluded beaches – perfect for photos! 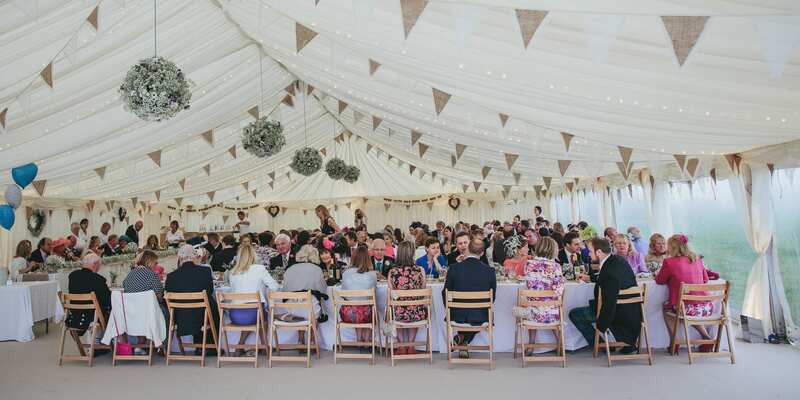 Hatch can provide you with the marquees and all the associated equipment (toilets and gennies) to make sure you have a fully functional venue ready for your celebration. 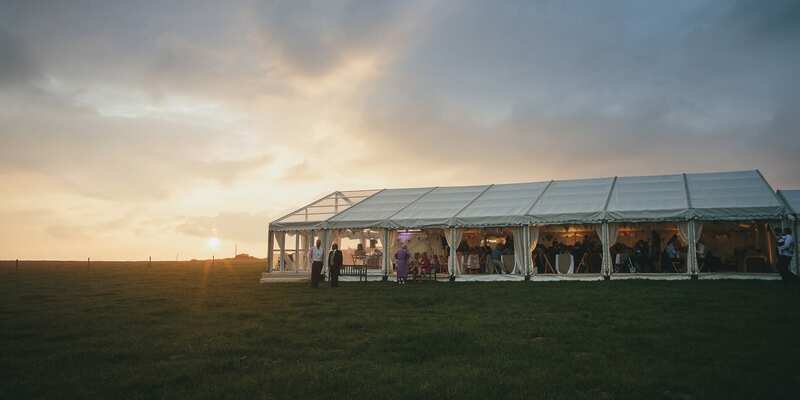 Carswell Farm also has eight holiday cottages giving you plenty of options for accommodation for family or guests to stay in. As unique in character as they are diverse in style, there is a cottage to suit everybody from a romantic hideaway for two, to a grand ‘gentleman’s residence’ for fourteen!